We heard several reports in the past few months, all claiming that Samsung is working on a foldable phone, to be released in 2017. SamMobile today posted that the new phone will be called the Galaxy X, and the foldable display will be a 4K diamond-pentile one. According to SamMobile, Samsung will release five "flagship" phones in 2017 - the Galaxy S8 and Galaxy S8 Edge, the Galaxy Note 7 and Note 7 edge - and the Galaxy X. 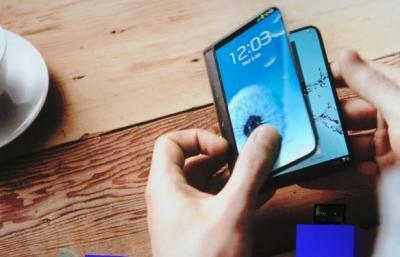 Except the Galaxy X (which will, as we said, have a 4K display), all the rest of the phones will use 2.5K displays. I'm not sure if that's wise for Samsung to release so many phones. The whole idea of a foldable phone is that it will open to have a large (7"?) tablet-like display, so why would anyone want a phablet? Unless of course the Foldable phone will be very expensive. But then why release the "edge" phones that are also more expensive - but the only advantage is the nice looks? If I were Samsung, I'd release a Galaxy S8, a Galaxy Note 7 and then a foldable phone as the premium one. But I'm guessing it will be difficult not to release edge phones because these are currently very successful, and no-one knows whether the foldable phone will be a success. Will Samsung release a larger Galaxy S6 Edge soon? Are these Samsung's Galaxy Note 5 and S6 Edge Plus?